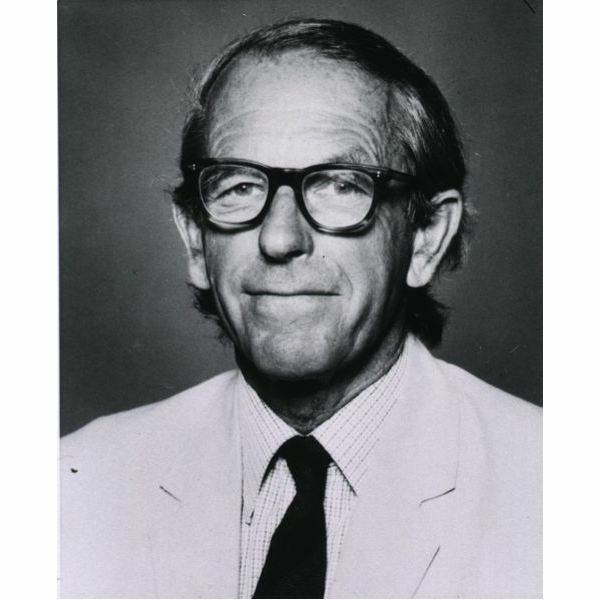 Born on August 13, 1918, in a small village in Gloucestershire, England called Rendcomb, Frederick Sanger grew up in a medical family. The second son of his father, also named Frederick, he was exposed to his father’s life as a medical practitioner. During this time, he developed a love for the scientific practice, specifically biology and medicine. He attended The Downs School in Herefordshire and Bryanston School before studying natural science at St. John’s College in Cambridge. Being raised as a Quaker also developed a sense of compassion for his fellow man. When World War II broke out, he became a conscientious objector and completed his Bachelor of Science degree in 1939. Sanger then went on to acquire his PhD, where he became interested in biochemistry. At the time, some of the greatest minds in biochemistry were studying at Cambridge, leading to an advanced education that would help Sanger to become one of the most famous scientists in genetics. In 1943, he completed his doctorate under Dr. Albert Neuberger with his study on lysine metabolism. Much of his research at the time also dealt with analyzing nitrogen in potatoes. Sanger developed new methods of amino acid sequencing which allowed him to determine the complete amino acid sequence of insulin, specifically the sequences of the two polypeptide chains. He used a system in which flourodinitrobenzene reacted with the N-terminal amino group at the end of the polypeptide chain. Sanger then used hydrochloric acid to hydrolyze the insulin into short chains. He used a method of electrophoresis and chromatography to fractionate the peptides and detect them with ninhydrin. This showed that proteins have a chemical composition that is strictly defined, establishing a new understanding of insulin. This research led to the development of the ideas about DNA sequencing for proteins. He was awarded the Nobel Prize in Chemistry in 1958. The following decade, he began to turn his attention to RNA. His main research had to do with developing a method for separating RNA fragments. Over the course of his research he found that formylmethionine tRNA initiated protein synthesis and determined part of the nucleotide sequence of E. Coli. One of his great successes was to develop the Sanger Method, a process for sequencing DNA molecules. This helped lead to the basic research that established the Human Genome Project. Frederick Sanger has the distinction of being the only person to be awarded two Nobel Prizes in Chemistry. The second prize came in 1980 and he shared it with Walter Gilbert and Paul Berg. His part of the prize was for his contributions to determining the base sequences in nucleic acids. Frederick Sanger retired in 1983 and established a new career as a gardener. The Sanger Institute was built in 1992 near Cambridge. Today, the center plays an important role in the Human Genome Project. Sanger has the distinction of having his entire catalog of notebooks preserved by the British Biochemical Society, making him one of the most famous scientists in genetics.